Contact Us for a FREE no obligation solar panel quote for your home or business, we will assess your available roof space, discuss the options available to you and design a solar system which would best meet your needs, offering a choice of solar panels, and answer any questions you may have. Solar Panels are an opportunity to reduce your electricity bill, your carbon footprint and generating an income for the next 25 years! You are Guaranteed to be paid for every unit of electricity You generate by the government from Solar Panels for the next 25 years (linked to inflation). You will be paid for electricity you don’t use and export back to the grid. Payments are linked to inflation and last for 25 years. Solar Panels are a Guaranteed Proven technology. 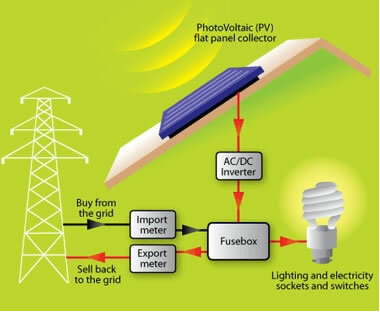 Generate your own FREE electricity and reduce your own electricity bill. A very Simple way to reduce Your Carbon footprint. Produce up to 50% of your electricity needs. 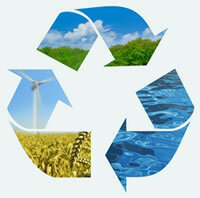 If You have Solar Panels installed you will start to benefit immediately from the FREE electricity they generate. Insurance backed Guarantees and manufactures Warranties. A solar Installation is by far the best proven way to generate your own electricity. The Amount you generate cannot be guaranteed as no-one can predict the weather, however based on current data on average.